Maybe it’s time to think about using some natural stone. Here are some great ways to incorporate natural stone into your garden. Hello again, Forest Hill homeowners. Have you been unsure how to improve the aesthetic value of your home’s garden? If you have, then maybe it’s time to think about using some natural stone. Here are some great ways to incorporate natural stone into your garden. Natural stone has amazing aesthetic value. When you add it to your Forest Hill home’s garden, you can make your garden features even more eye-catching. Using natural stone as a base for all the other decorations can emphasize how great they look. If you’ve never considered adding a gazebo to your home’s backyard, then natural stone could be the way you finally make it happen. That gazebo could feature a floor made of natural stone, connected to the rest of your yard by a brand new pathway that might not have been there before. If you need a simple way to get around in your garden, then it’s time to lay down a new garden path. That way, you won’t run the risk of trampling any grass or flowers that you’ve spent so much time tending while you are moving around in your garden. 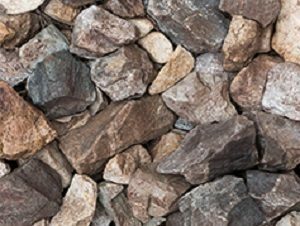 While you could use gravel, natural stone allows you the chance to use different colors and textures to help make your garden more attractive and interesting. You can also use natural stone to improve the hardscapes you already have. Whether you want a patio to use for a grill or hot tub, or you’d like some retaining walls to prevent flooding in your Forest Hill backyard, consider using natural stone for these structures. One of the most exciting ways to upgrade your patio is to build an outdoor kitchen. Why just settle for a grill when you can install a sink, some cabinets, and some appliances? The stone countertops you choose for your outdoor kitchen could be made from natural stone that will absorb the sun’s warmth during the day. The stones might start to weather a little bit, but that can also add an elegant touch to your outdoor kitchen. Trust Lehnhoff’s Supply and Design for All Your Natural Stone Delivery Needs! This entry was posted on Friday, July 20th, 2018 at 9:16 am. Both comments and pings are currently closed.